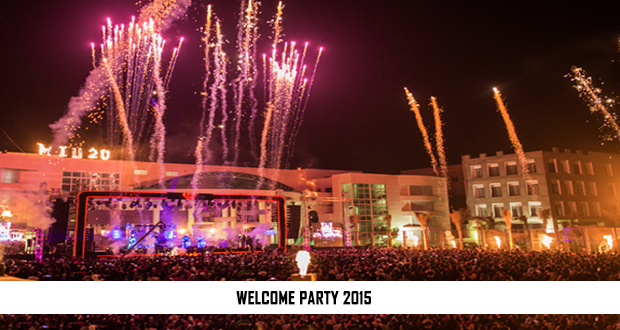 MIU’s 2015 Welcome Party was a huge success this special year; MIU’s 20-year Anniversary. 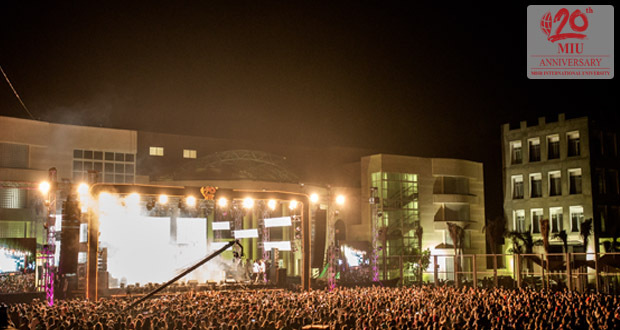 More than 5000 students, MIU alumni and staff attended the star-studded event. 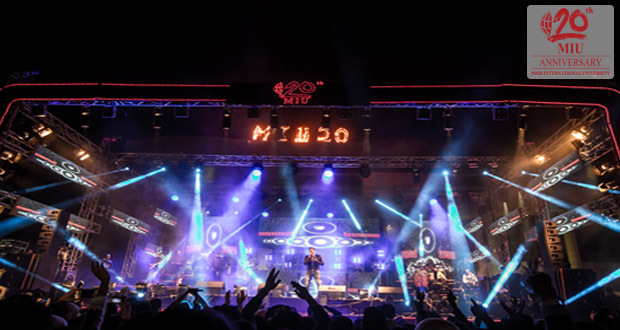 The party started on a high note lead by DJ Waleed El-Hariry, then a firework show kept the audience in awe for several minutes. 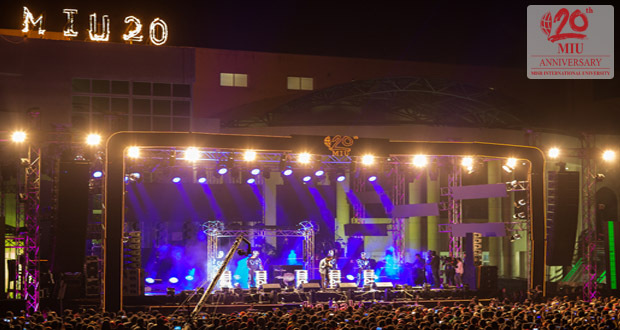 Superstar Mohamed Hamaki later rocked the stage and kept the crowd in high spirits till the very end.